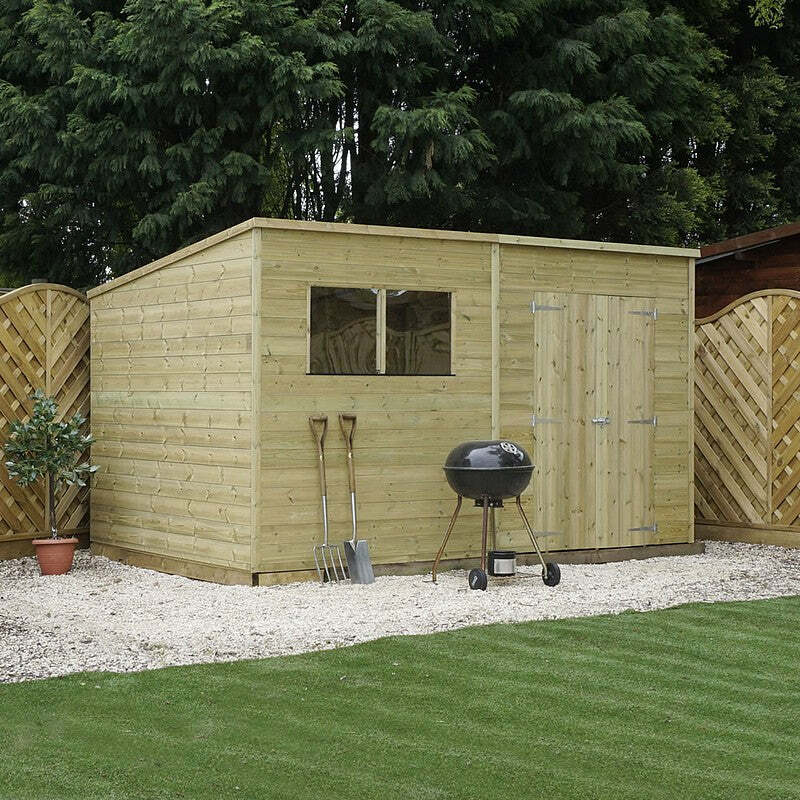 Whatever you need a shed for, we have a wide variety to give you the perfect excuse to spend more time in your garden. Whether it's a workshop, a she-shed or a craft space you're looking for, check out some of the options below. If you need to know more about a product, or just want to find the right thing, then you've come to the right place! 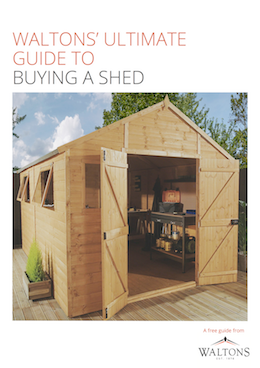 To be sure that you consider all you need to when you're choosing a shed, we've created the Ultimate guide to buying a shed which you can download right here. Check it out, and give yourself the confidence to make the best purchase. If you want somewhere to use as a base for all of your crafts and hobbies, a workshop is ideal; it allows you the area you need to work on various projects such as restoring cars, or crafting things. Out of all the workshops that we stock, our best pick would be the 16ft x 10ft Groundsman tongue and groove apex modular workshop - this will give you plenty of space to work on whatever project takes your fancy! Whether it's wheelie bins or bikes and kids toys, it seems that more and more what we need is storage, storage, storage. Luckily, we're here to help! Our top pick would be the 7ft x 3ft tongue and groove apex wooden bike shed - this marvellous structure will give you plenty of space to store bikes of various sizes, as well as look great in your garden to boot! If you want something that will not only do a fantastic job of keeping your garden equipment safe from the elements, then you need to take a look at this 6ft x 8ft skylight plastic shed. 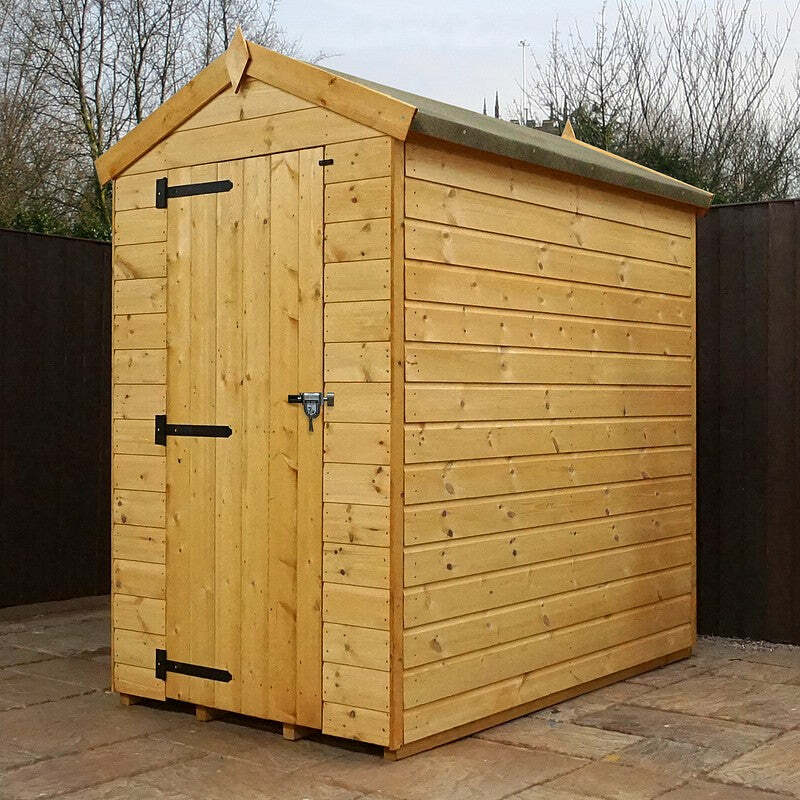 This particular garden building comes with high strength cladding, as it is specifically designed to withstand adverse weather conditions - just the thing you need for the next time a big old storm whips up in your back garden! It couldn't be easier to install in your outdoor area, and even easier to maintain! All of our plastic sheds are simple to construct, and require the minimum care once they've been put up. To ensure that your shed is going to truly stand the test of time, and that you're really going to get your money's worth, take a look at the 12ft x 8ft pressure treated tongue and groove pent shed. Pressure treating is the process of infusing the timber with preservative, to protect it from the elements that could lead to rot. In fact we're so confident that you're going to love this shed as much as we do, that it comes with a 15 year anti rot guarantee to give you added peace of mind. Take a look at our range of pressure treated sheds to find the garden building that is going to last you for many years to come! Want extra assurance that your garden tools and equipment are safe from harm? Take a look at this solid 6ft x 4ft tongue and groove apex shed. This garden building has been specifically designed so that every bolt, nut and panel is as secure as can be, so you can rest assured that no one will be getting their hands on your precious garden essentials. Many of our sheds come without windows, so nobody can peek inside at your valuables. Combine this with a sturdy padlock, and be safe in the knowledge you've reduced the risk of intruders and burglars getting in. Here's a quick preview of some of what's in the guide - for all the gen, download it and give it a read through. The right base is an essential part of your shed - and of the selection process. 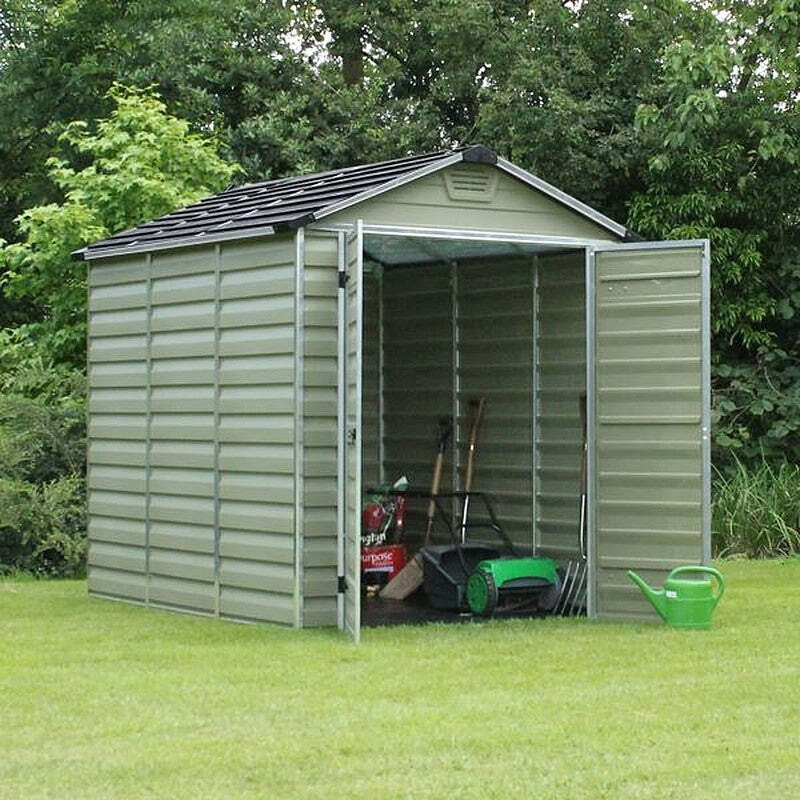 Read our guide, and decide which is the best base for the shed you want. What are you using your shed for? Whether you're looking for a simple 8x6 foot overlap or a top-of-the-range insulated garden room, we've got everything you need to make the perfect choice. What will go in your shed? For a few tools and bits of gardening gear, a simple shed will suffice. But for heavier machinery, large furniture, pool tables and motorbikes, you'll need something a bit more solid. Our guide sets out your options. Make sure the shed you choose suits your requirements by testing your planned layout before you buy. Take a look at the tools available to help you preview how your shed will work for you. Wood, metal or plastic? We lay out the pros and cons of each so you can make the right choice for your needs. Make sure you know the difference between overlap and shiplap - and the benefits of a pent roof or an apex roof for your shed. Keeping valuables in your shed? Make sure you've got the best security. Our handy pdf shows you the range of security products on offer, and shares some great ideas to help you keep your treasured possessions safe.